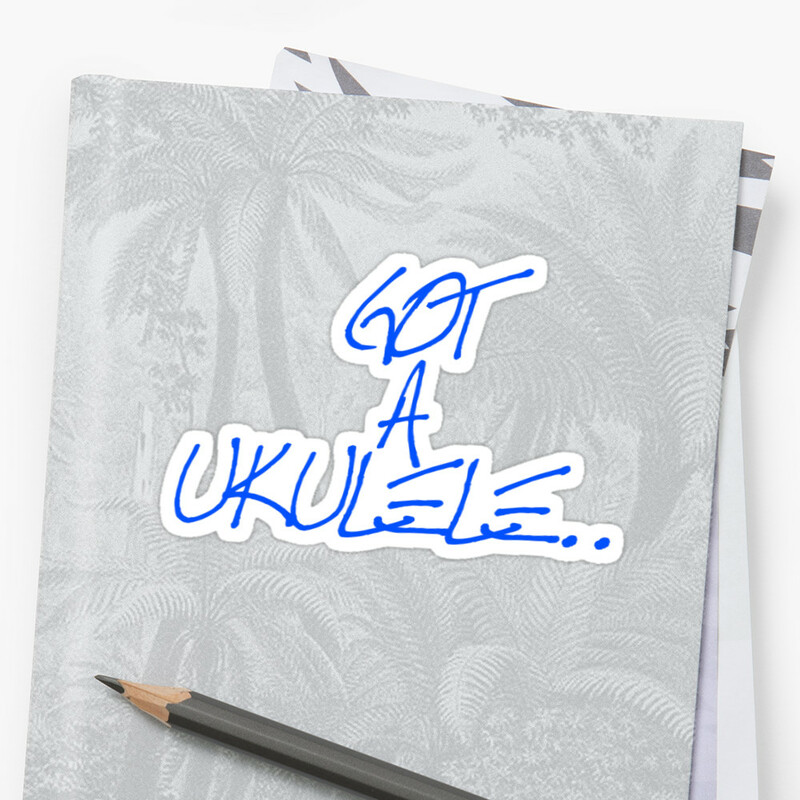 I was looking back over some of my oldest posts on Got A Ukulele and found one, very briefly and clumsily written about what to take in your uke gig bag. Thought it was about time to write a more expanded version. With many readers considering appearing on stages now as solo artists, in clubs or with bands, I am sure one thing crosses all of their minds - what gear do I need to take with me to a show? 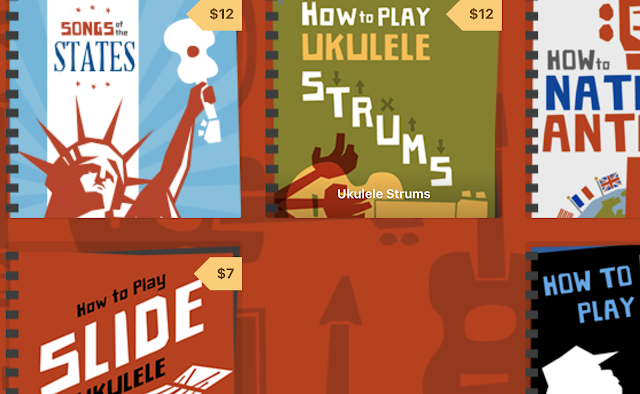 I know, the ukulele is small, and the concept of taking a lot of gear probably seems a bit odd to many people who play it, but there will be some 'must carry' items, and some which are a bit more luxurious. I suppose what you take also depends on what sort of show you are playing. There is a world of difference between going out busking acoustically to playing your own solo show where you may be expected to take the amplification as well as the instrument. Likewise playing a dedicated stage at a festival or theatre can be a different experience altogether. What you take needs to be tailored to what you are going to be doing. Most of all though - the gear is your responsibility and not that of the venue. 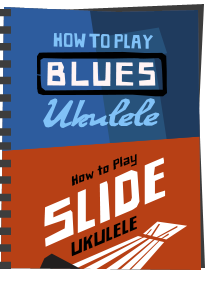 - The ukulele - Naturally - make sure it is in good order. If it needs batteries, make sure they are fresh. Make sure you are happy with the strings. If they are showing signs of wear, consider changing them. Murphy's Law dictates that if a string is due to break, it will break during a show. - Spare strings - Think about it - do you really want to be one song in to your set and lose one of your strings? It can and DOES happen. Just keep a spare pack in your gig bag... Simple. And if you use one of them, make sure you top up the pack before the next gig! Of course, another alternative can be found in the Luxury section below. - Instrument Cable - If you are plugging in, there is every chance that the venue engineer may provide you with necessary cables. But to ASSUME that they will do that is a sure fire way to being caught out. If you amplify this way, carry a cable. Oh, and make sure it's not only 4 feet long.. (There is a bit more detail about cables in the footnote). If you are relying on someone else for cables, you are assuming they have enough, and you are assuming they are in good condition. Sadly, cables for loan at venues are usually pretty dreadful. - Song sheets / crib notes - If you need them, carry them. You won't want to be without them if you rely on them. Just remember it looks far far better to an audience to have them placed somewhere that doesnt encourage you to stare down into them rather than looking and engaging with the punters! - Set list - Take a few set lists printed out. What? You don't use a set list? That's very brave. Seriously - it's just a list - you are allowed to depart from it - but a bit of pre-planning for any show makes perfect sense, especially if you play with other people. - Your tuner - If you use one - pack it (and a spare battery!). Seriously though - when you are plugged in on stage, if you need to tune, please mute the instrument. Nobody wants to hear you tuning up! And your tuner can be a tuning fork - as Phil Doleman once said to me - it's the only tuner that you can use to eat a Chinese takeaway with after the gig. - Other essentials that you always use. - Depends what you use - if you use a strap, take it. If you use a capo - take it. If you use picks, take them. - Copy of your PLI insurance certificate - This is a whole other subject in itself. Seriously though - more and more venues are asking for insurance these days. You can moan all you like about the concept, but in my experience, with some places you either have it or you don't play. It's as simple as that. Bad advisors are out there telling beginners that the responsibility is for the venue, but that is just plain wrong. Bad advisors are also saying that performers should tell the venue to get stuffed... Sure, you could do that, but remember, you performing is COMPLETELY up to the venue.. Turning up and saying 'yes we have it, but the certificate is at home' is the same as not having it at all. It's like telling a policeman your car insurance is 'in the post'... Keep a photocopy in your gig bag. There is more on insurance for musicians in this post. 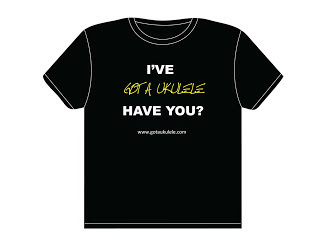 These will very much depend on how you gig and the sort of venues you are playing, so tailor them to fit. - FX Pedals - Not for everyone I suppose, but if you do use pedals - make sure you have all you need, have batteries or power leads for ALL of them and all interconnect cables. Once again, don't assume an engineer will have all this for you. Your responsibility - make sure it's all ready to go! 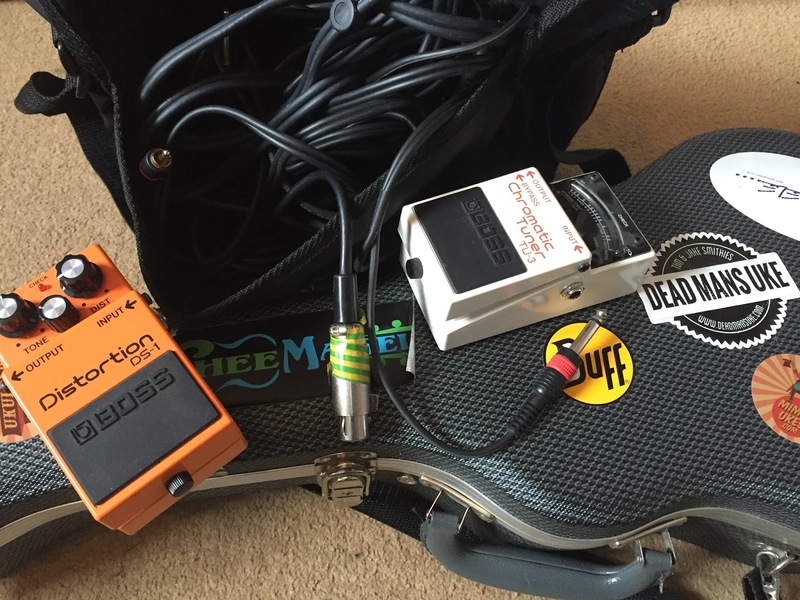 Ideally - have them set out on a pedal board you can pack into a small suitcase with the interconnect cables already in place. Then it's just a case of plugging in the power, plugging the uke in one side and the other to the amp and you are ready to go. Nobody wants to watch you build your pedal rig every time you start a gig. - Your own microphone - Sure, a lot of venues will provide microphones, but some don't. Even if they do, you may prefer not to use one that has been drooled into by a hundred other stage performers. Nothing wrong with swapping your own in place - just tell the engineer before meddling so they know. Oh, and perhaps carry a spare mic clip - always useful. - Microphone stand - If you are using your own mic - well.. naturally - a stand makes sense..
- Duck Tape - Is it Duck or Duct? Is it Gaffer tape? Whatever - there is no item on the planet that cannot be jerry fixed into working at short notice with this stuff. Good for taping down cables to the floor so you don't kill your audience by tripping them. I even saw somebody once attach a strap to a broken pin by taping their guitar to the strap. Where would we be without this stuff? - Peg winder - If you do need to change strings - these things cost pennies and will make the whole thing less painful for the audience (and you). - Spare picks / spare strap / more spare strings - If you use them, then why not? 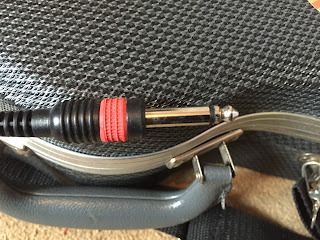 They are small - fit them in the front pocket of your bag and in any spare spaces in your gear. Picks also have an uncanny knack of not being where you left them. Carry a load in your pockets if you use them. As for more strings - well, if you have stack of string packs at home, leaving them in your gig bag is probably the best place for them. - Screwdriver - Again - they are small. You never have a screwdriver when you need one.. Seriously, I have changed fuses on 13 Amp plugs on stage before now, but at the very least they can be used for tightening friction pegs. - Music stand - Hey - if you use one! Have you thought about a clip on light for it - you can't guarantee a lot of light on stage to allow you to read.. Oh, and that's where clothes pegs also come in handy for outdoor gigs. - Sharpie - Nothing worse than making alterations to a set list or song sheet with a biro that is running out so you then can't read it. Make it clear. But hey - Sharpies are just handy for all sorts of things..
- Toolkit - I've covered some tools above, but you might want to consider a fuller toolkit to take with you. Speaking as someone who has taken a lighting rig apart pre-gig and rewired several microphone cables, trust me - they do get used. - Pocket torch - A small Maglite can be invaluable for finding things on a dark stage. - Power reel - Sure, most performance venues will provide you with some power sockets on stage, but it is your responsibility to have the extension reels to get power to where you want it. It may be helpful to carry a range - a longer reel and some shorter extension bars. Again, remember Murphy's Law. If your gear requires X number of plug sockets, you can guarantee that the venue has one less than you need. So, where do we stop with these? I suppose some are more luxurious than others, but worth thinking about. - DI Box - Basically a box that turns your unbalanced ukulele signal (with a jack socket) into a balanced signal suitable for entering a mixing desk on the other side of the room with no issues, degradation of sound (or vice versa). Engineers will love you and may even high five you if you have your own. They are relatively cheap and if you are playing plugged in just one of those things that many people carry. In fact, some wouldn't suggest these should be in the Luxury box at all. 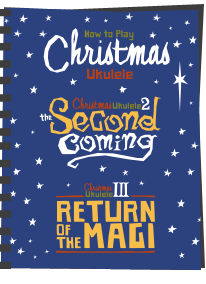 - Spare ukulele - Why worry about the on stage string change when you can just plug in another instrument. 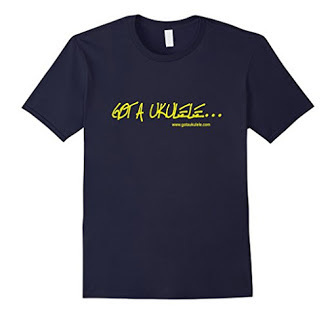 Seriously - many people do this - and why not - ukuleles are not that big. Bear in mind, it might not be a string snap that foxes you. I have seen pickup connections fail on stage on more than one occasion. It's happened to me once where I suddenly had zero sound out of the jack socket - swapped to another uke and carried on. - PA system - The ultimate I suppose is the system that you can pack into your car or van that allows you to perform anywhere there is power - speakers for the audience, perhaps foldback monitors for your vocals - this really is though a whole other discussion point! - Mixer - If your act involves a number of people and you are currently amplifying individually through small battery amps you may be considering a PA. If you are considering a PA, then a mixer should also be looked at - basically a device to allow you to 'mix' numerous vocals and instruments into one output for the amplification. - Lighting rig - if you are setting up a show in an otherwise dull room such as a village hall - you would be surprised how much more professional things will look with some lighting. With the advent of LED lighting rigs these days, portable stands offering colour washes can be obtained for very little money compared to the old rigs. So generally speaking it's all common sense. Everything will depend on where you are playing - not all of this will apply to busking gigs for instance. Just run through and work out what may apply to you. Hopefully some food for thought though. Remember this - if YOU are booked, then it is YOUR responsibility to deliver what you said you would. Whilst many venues will assist if they can (and other bands can often assist here), if you turn up and fail to play because you say to the venue 'sorry, I broke a string', 'Sorry, I forgot my words' or 'sorry my instrument cable is broken'- then that is a sure fire ticket to never being asked to play there again. Glitches do happen, but in the wise words of the Cub Scouts - BE PREPARED..
A final word on cables. If you are an absolute beginner this may confuse you, but this article is referring to two main types of cable. Standard instrument cables (for plugging a ukulele into an amplifier) are usually ¼ inch jack cables with a male plug at either end. One goes in to the uke, the other into the amp or mixer. I'm often asked if ukuleles need special cables or will one marked 'guitar' work. The short answer is - a cable for guitar will work perfectly. Standard microphone cables tend to be balanced XLR cables - these are three pin sockets that connect the microphone to the mixer (or amplifier). The male end goes into the desk or amp, and the female and into the base of the microphone. Confusion arises where you don't have an amplifier that takes and XLR input - for this reason XLR to ¼ inch jack cables are available. Finally, an instrument like a ukulele can be plugged into a mixing desk XLR input through the use of a Direct or DI box. With these, you run the ukulele into the box with a standard instrument lead, then run an XLR lead from the box to the amplifier or mixing desk. 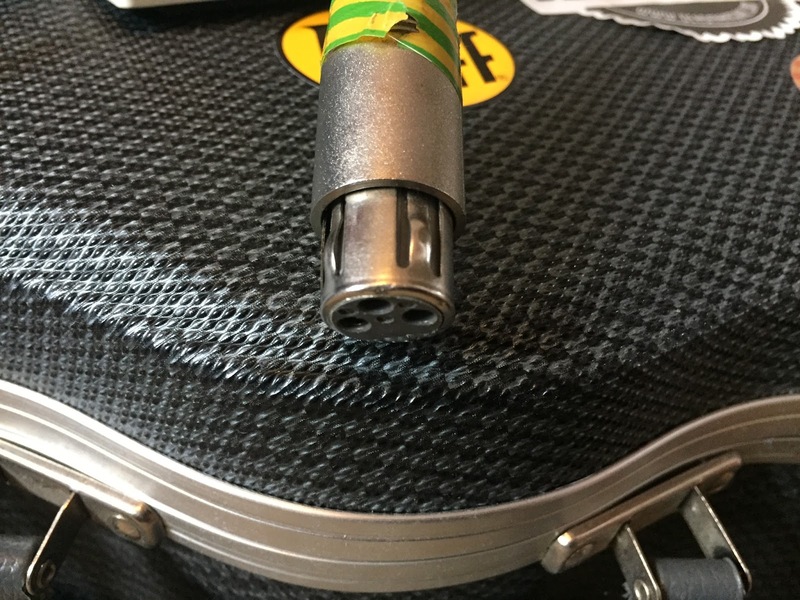 Generally speaking, in all applications XLR is the better quality option, but in reality, when on stage, plugging in a ukulele will usually use a standard jack lead. I can think of several gigs where me and Ian have taken ALL of those things (some of them twice over)! Also, Behringer make a very useful d.I. box for about £20, called the ad121 vtone. 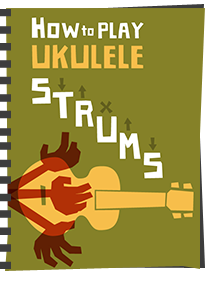 Maybe less necessary (and perhaps even a pain) with ukulele rather than guitar, but some sort of stand is worth the hassle of carrying--not only does it look a lot more professional than putting your instrument on the floor, but it keeps the tuning pegs from getting knocked around, not to mention the instrument itself. Good call Jake - I have one that folds up and takes surprisingly little space in the bag. "If its going to be, its up to me". You might add a small "comfort" pack: tissues to blot the nervous sweat, eyedrops, cough drops, lip gloss, small water bottle, ànd a roll of antacid tablets. Some would include a musician's throat spray (commercial or your own homebrew). All of the above will fit into a small pouch or ziplock bag. There is also option of a groupie or small donkey to transport all this around. Another essential is to practice packing all of this kit together is a compact, easily accessed, bag or package to swiftly move it all in, swiftly assemble, and swiftly locate that odd bit you neeed---even in front of a restless audience. Don't ask me how I know how easily this can go wrong and progressively wronger. Having a good attitude and a little snappy patter rehearsed and ready always helps. Now, go "Break a Leg!" If your uke has friction tuners, a small screwdriver is absolutely essential should your tuner get loose. Yep - fair comment that Willie. Very Comprehensive. This certainly gives me more wider appreciation of the preparations and efforts by gig musicians. You might also consider throwing in a camera or video camera and the necessary accessories (tripod, spare batteries, spare SD card [or film or tapes, if you are really old-school], flash, external mic for the video camera, etc. ), so that you or a bandmate, or a groupie can get some pics or video for you to use to promote you or your group on social media, your website, or on some old-school flyers. Clean underwear. You might end up in A&E carrying that lot. Earplugs with a flat frequency response! Usually the room is big enough that the drums can "breathe," but if you're stuck in a little room right by the high-hat all night - woe is you. Just got some new Isolate earplugs. Kind of spendy, but they seem like the Rolls Royce of non-custom earplugs so far. Used Etymotic for a lot of years, but these are more comfy and quieter. Throat coat tea is another one. Really good stuff for when you've got to sing and your voice is off. Yes, good tips Brad. Throat Coat is marvellous stuff! Rather than carrying all of your sheet music, copy them on to an IPad. Put an IPad holder on a mic stand. Then you can program your set list ahead of time. Recently, a friend I started playing drums with with put me onto this idea. No more fumbling through papers to find a requested song, just quickly scroll to it. Indeed - I use OnSong for exactly that. You can also get bluetooth pedals that change the pages for you. 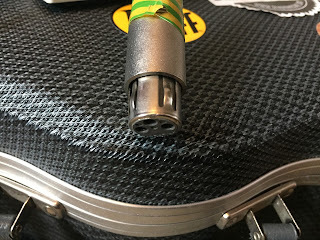 I think your posts are helpful, fun, and well written, and I try not to be too pedantic, but you have a photo labeled “Male end of XLR cable” and the photo shows the female end. Don't know how I missed that! Fixed now! Saddly it happens many times,the soundman tells you ,no worry's whe have everything here.